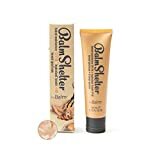 BalmShelter Silky-Smoth Tinted Moisturizer, Light, Polished Complexion, Weightless, SPF 18, 2.15 fl. oz. While regular liquid foundations certainly have their place in our makeup drawers, sometimes the heavy coverage of a traditional foundation is just too much for every day. Especially during the summer months, many of us crave lightweight coverage to even our complexion without feeling heavy or cakey. That’s where tinted moisturizers come in. By providing lightweight coverage with added moisture and sun protection, tinted moisturizers can perfect your complexion without weighing down your skin. Our list of 4 top-rated tinted moisturizers can help you pick the best product for when you’re feeling like a light makeup day. Rated by Total Beauty as their #1 tinted moisturizer, theBalm’s BalmShelter tinted moisturizer is loved by women everywhere for its seamless, radiant coverage. The coverage provided by this lightweight formula can best be described as sheer to medium, as is expected from most tinted moisturizers. Users loved that they were able to build coverage as needed on problem areas. For the sheerest application, it can be applied to the face directly with the fingers in a downward motion. Applying with a sponge or Beauty Blender offered the most coverage. The product blends easily and leaves a smooth, natural finish with no streaking or lines. The formula is lightweight and breathable, and reviewers reported that it was comfortable to wear all day even in hot climates. It doesn’t settle into pores or fine lines, leaving skin fresh and smooth all day. For those with dry skin, the moisture provided by this formula helped skin to feel fresh, dewy, and healthy while providing light coverage. BalmShelter is available in 7 different colors from “Lighter than Light” to “After Dark.” The lightest shade is suitable for those with the palest complexion, and many fair users reported that they were pleased to finally find a tinted moisturizer light enough for them. Users agree that the undertones are very neutral; neither too pink nor too yellow. It is worth noting that several reviewers reported that it tends to oxidize on the skin. Oxidizing occurs when your foundation reacts with the natural oils or pH balance of your skin, causing the foundation to darken slightly throughout the day. This can be avoided by applying a primer underneath. The scent of this product is light and beachy, reminiscent of a pleasant smelling sunscreen. SPF 18 is integrated into the formula to provide broad-spectrum protection from the sun. Broad spectrum protection serves to shield the skin from both UV-A, which can cause premature aging and wrinkles, and UV-B rays, which cause sunburn. However, if you are especially fair or sensitive to the skin, it is advisable to layer up the SPF before applying. This can be done with a facial sunscreen or another moisturizer containing SPF. Those with dry skin would be best served by this tinted moisturizer. As it contains both moisturizing and complexion-evening ingredients, it doesn’t dry the skin like many foundations. Users with combination or oily skin still reported positive results as long as they set it with a lightweight powder after applying. At $22.50 for a 2.15 ounce tube ($10.47/oz. ), this moisturizer falls in a mid-high price range. Many users say that it’s “worth every penny,” even though it is at a higher price point than some others. Because the formula is somewhat thicker than many other tinted moisturizers, most reviewers found that they were able to achieve their desired amount of coverage with less product, allowing the tube to last a fairly long time. Out of 415 reviews on Amazon, BalmShelter received an overall rating of 4.3 stars. Users enjoyed the truly “natural” looking coverage it provided, as well as its moisturizing properties. The wide range of shades was appreciated by many users, especially those with particularly fair skin. BalmShelter earns our Gold Pick rating for its lightweight, dewy coverage and exceptionally natural finish. 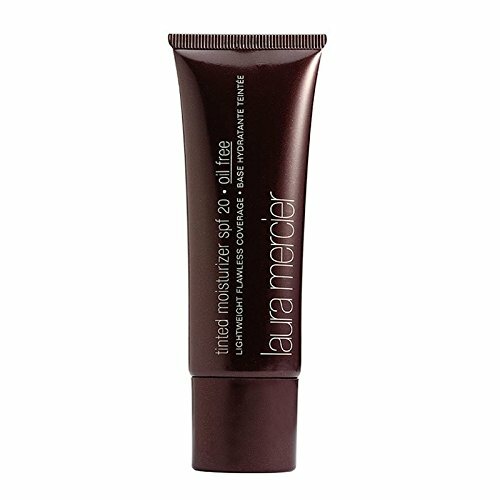 From one of the leading names in mineral cosmetics, this Bare Minerals tinted moisturizer is uniquely formulated to deliver exceptional hydration while concealing imperfections. Ideal for women of all ages, this lightweight moisturizer won’t settle into fine lines or wrinkles. With buildable coverage that falls between sheer and medium, women found that they could perfectly customize their application to achieve exactly the look they desired. Users said that it offers more coverage than most tinted moisturizers without any heaviness of a traditional liquid foundation. For subtle, lightweight coverage, it can be applied directly with the fingers. To achieve more coverage, it can be used with a beauty sponge or a synthetic bristle brush. Using a natural bristle brush is not ideal, as natural bristles tend to soak up liquid formulas and will result in less coverage and wasted product. The moisturizing properties of this product, enhanced by ingredients like marine botanicals and coconut alkanes, gave users a youthful, radiant glow. Even users with mature skin reported that they had “never seen [their] skin look so youthful!” The feather light formula is comfortable to wear all day, even in hot or humid weather. In an independent clinical study, the formula was found to provide a 215% increase in skin hydration after just one week. With a range different shades to choose from, users of all complexions can enjoy the beautiful coverage of this tinted moisturizer. Although there are 10 shades available on Amazon, the entire line includes 16 different shades to match even the trickiest skin tones. The lightest shade, 01 Opal, is suitable for the fairest complexions with cool undertones, while 10 Sienna is ideal for deep, warm complexions. Colors are available in cool, neutral, and warm undertones to flawlessly match any tone. Users loved the variation in shades, saying that it was easy to find the right shade even for difficult-to-match skin. Bare Minerals has included mineral-based, non-chemical sun protection in their tinted moisturizer. With an SPF of 30, it is comparable to many facial sunscreens on the market. The broad spectrum protection is formulated to protect from both UV-A and UV-B rays to prevent both the short- and long-term effects of sun damage. It is worth noting that in order to gain the dermatologist-recommended amount of sun protection, another lightweight facial sunscreen or moisturizer with SPF can be layered underneath this moisturizer. 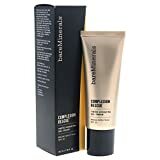 Although it retails for $29.00, a 1.18 ounce tube can be purchased on Amazon for $22.21. Coming in at around $18.82 per ounce, this is significantly more costly than the BalmShelter formula. However, for those who are especially cautious about the ingredients in their makeup products, this increase in price may be justifiable. With an impressive 4.5-star rating out of 219 reviews on Amazon, the Bare Minerals tinted moisturizer is a consumer-favorite for lightweight, breathable coverage. 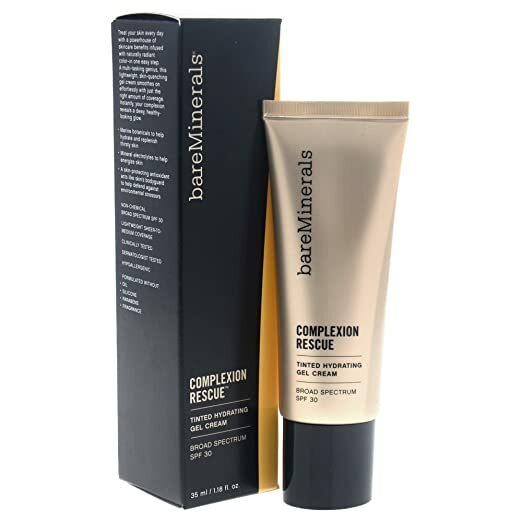 For those who are wary of harsh chemicals and mystery ingredients, the mineral-based formula is a great alternative to many of its competitors. Users with dry or sensitive skin found that this moisturizer provided more hydration than any product they had tried before while providing radiant coverage. Laura Mercier’s iconic makeup and skincare line is dedicated to providing luxurious results to women everywhere. Recognized by Elle Beauty as the cult fave of tinted moisturizers, the Laura Mercier tinted moisturizer is a tried-and-true formula. This moisturizer is loved by users for its lightweight moisture with healthy, radiant coverage. Buildable sheer-to-medium coverage allows users to achieve their desired results by layering where needed. Reviewers consistently stated that this formula effectively evened their skin tone while making it look as if they were wearing no makeup at all. Laura Mercier recommends applying directly in a downward motion with clean fingertips for lighter coverage, or with an egg-shaped makeup sponge for more coverage. No matter the coverage you prefer, this formula leaves skin softened, hydrated, and glowing all day. Along with providing beautiful, buildable coverage, this moisturizer is formulated with an antioxidant vitamin complex to protect skin from harsh environmental stressors. Users found that over time, their skin’s hydration and softness improved when using this moisturizer daily. In addition to the long-term benefits, reviewers loved that their skin seemed to be immediately more healthy-looking and radiant. Overall, users said that this product stayed in place all day and left their skin looking beautiful even in hot climates. The Laura Mercier tinted moisturizer comes in three distinct formulas. The classic formula is ideal for normal or combination skin, while the oil-free formula is made especially for those with oily or acne-prone skin. The illuminating formula gives an extra-dewy finish to especially dry skin. Each formula offers the same moisturizing properties and sun protection, but is specially formulated to cater to different skin types. The original formula comes in 15 shades, from the lightest shade Porcelain to the deepest shade, Mocha. Each shade comes in warm, cool, or neutral undertones to allow users of any skin tone to find their perfect match. Some users did say that they had to buy two shades and mix them to achieve a true match. While more expensive initially, one user said that she was able to get almost an entire year’s worth of use out of the two tubes she purchased. Users consistently report that this formula did not oxidize on their skin, but stayed true to its color all day long. Although it is formulated with SPF 20 to protect from the damaging effects of the sun, this product does not offer full broad spectrum protection. It does protect from UV-B rays, which are responsible for sunburn, but does not fully protect against the aging effects of UV-A rays. To fully protect your skin from the sun, be sure to use a lightweight broad-spectrum facial sunscreen or moisturizer beneath this formula. With a hefty price tag of $44.00 for a 1.4 ounce tube, this is the priciest item on our list. However, users who swear by this product say that they could never go back to another tinted moisturizer after using this one. Most users say that they are able to use a very small amount to achieve their desired finish, so a tube will last several months. Out of 143 Amazon reviews, 81% came in at 4 stars or higher, giving this product an overall rating of 4.5 stars. Those who enjoyed this product said that nothing can compare to the lightweight, healthy glow they were able to achieve using this moisturizer. Critics found that the product was “too greasy” or “slick” for their skin. However, those with very dry skin found that the formula was just right for providing dewy coverage. CoverGirl’s range of makeup and hair products is marketed to the everyday girl-next-door. Their affordable, accessible products can be found in your local drugstore or supermarket for a fraction of the price of their higher-end counterparts. 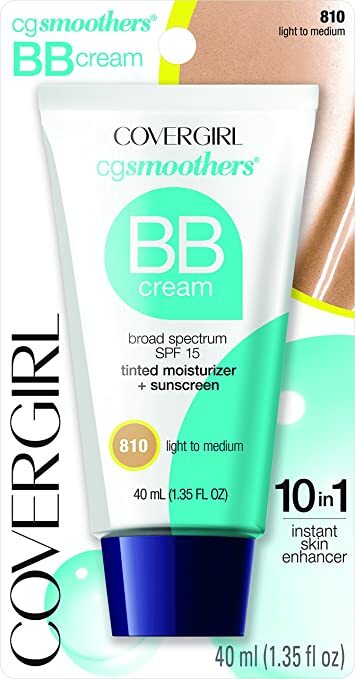 Many users said that they were able to achieve exceptional results with the CoverGirl Smoothers tinted moisturizer, even comparing it to some of the more expensive brands they had tried. Overall, the coverage provided by this moisturizer is best described as sheer, although it can be built to medium coverage if applied with a sponge. For additional coverage, a concealer can be used on problem areas. The lightweight coverage was appreciated by users of all ages. Young users enjoyed the formula because they wanted to look natural and youthful, while mature users loved that it didn’t settle into fine lines or wrinkles. No matter what their skin type, many users reported natural, glowing skin with added hydration when using this moisturizer. Additionally, it was found to be very easy to blend without streaking. The all-day hydration provided by this formula was loved by users with dry skin. However, users with oily skin reported that it made their face somewhat greasy throughout the day. To prevent this, follow up application with a mattifying powder, especially in the T-zone (forehead and nose). You may need to touch up with powder throughout the day, depending on the oiliness of your skin. One disadvantage of this product is the limited shade range. Currently, there are only three shades available: fair to light, light to medium, and medium to dark. Users may find that they need to mix two shades to achieve a true match. Many reviewers said that the undertones of the lightest shade were far too pink for their complexion, while the other two have very warm undertones. Some found that they had to mix this moisturizer with a formula from another brand in order to achieve the right shade. Formerly, this product was known as CoverGirl Aqua Smoothers and provided broad spectrum SPF 15. 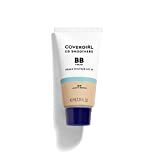 However, after being reformulated as a BB cream, the new product provides broad spectrum SPF 21. Although it has been increased, it is still advisable to start out with another form of sun protection beneath this. At only $6.24 for 1.35 ounces, this tinted moisturizer is one of the most affordable on the market today. Its exceptional price along with its overall positive reviews – with 4.2 stars out of 290 Amazon reviews – have landed this a spot on our list as the best budget pick. Determine how much coverage you’re hoping to achieve. If you’re looking for full coverage, you’ll probably want to stick with a traditional liquid foundation. However, if lightweight, natural and breathable coverage is your goal, a tinted moisturizer might be your new best friend. These cosmetics typically offer sheer to medium coverage. If your skin is overall fairly clear and even, you can choose a product that airs on the side of sheer coverage for a light wash of color. If you have more blemishes, redness, or unevenness, you’ll want to opt for a tinted moisturizer that is buildable. Also remember that the way you apply it will affect the level of coverage you can achieve. Applying with your fingers will give you the lightest application, while using a sponge can give you fuller coverage. We’ve all seen the dreaded foundation line on somebody – when someone’s foundation is a drastically different shade than their neck, it can look like they’re wearing a mask. If you can, test out different shades to get an idea of what colors best match your natural skin tone. Finding the right shade isn’t just a matter of light and dark. You also want to consider the undertone of a product; that is, whether it’s cool, warm, or neutral. Determine your skin tone before choosing a shade. Skin with naturally pink undertones are “cool,” while yellow undertones are considered “warm.” A neutral undertone falls somewhere in the middle of the spectrum. Choosing a product with a drastically different undertone will result in your moisturizer or foundation looking unnatural. Using a tinted moisturizer with SPF is a great way to add some sun protection to your daily routine. Ideally, look for a formula that offers broad-spectrum protection to protect your skin from both UV-A and UV-B rays. This will help to keep you from aging prematurely as well as prevent sunburn. Even if your moisturizer offers broad-spectrum protection, most skin care experts will still advise you to wear another sunscreen underneath. Whether you get this from a facial moisturizer with added SPF or from a lightweight facial sunscreen, the added protection is essential for your skin’s health and youth. Determine whether your skin can be classified as dry, normal, combination, or oily. Dry skin tends to be dry all over, often with rough patches that require extra moisturizing. Normal skin is neither too dry nor too oily, with a generally even complexion and few breakouts. Oily skin tends to look greasy or shiny and is more prone to clogged pores and breakouts. Combination skin may be dry in some areas, such as the cheeks and eye area, while the nose and forehead are oily and tend to break out. People whose skin type varies drastically based on the climate can also be classified as having combination skin. Choose a product that is best suited to your skin type. For dry skin, choose an extra-moisturizing or illuminating product. If you have oily skin, stick to an oil-free or mattifying formula to keep shine down during the day. Those with combination skin might need to experiment to find what works best for them. Some find that they need to use different products on different areas of the face, while others can use a single product to balance it out. The lucky few with “normal” skin can use just about anything with positive results. Choosing theBalm’s BalmShelter tinted moisturizer brings users the best of lightweight coverage and moisture all in one convenient product. Users of all skin types were able to achieve beautiful, long-lasting results. Even users with oily skin were able to wear this best tinted moisturizer underneath a lightweight powder for a healthy-looking semi-matte finish. Its versatility, feather-light coverage, and impressive range of shades has landed BalmShelter at the top of our list.